If you follow me on social media you’ll know we recently moved beachside in the middle of 2018. We are a short walk to one of Adelaide’s finest beaches so when Tesalate contacted me and asked if I wanted to try out their sand free beach towels it was a no brainer. The idea of not dragging half the beach home with us was obviously appealing so I was keen to give it a go. 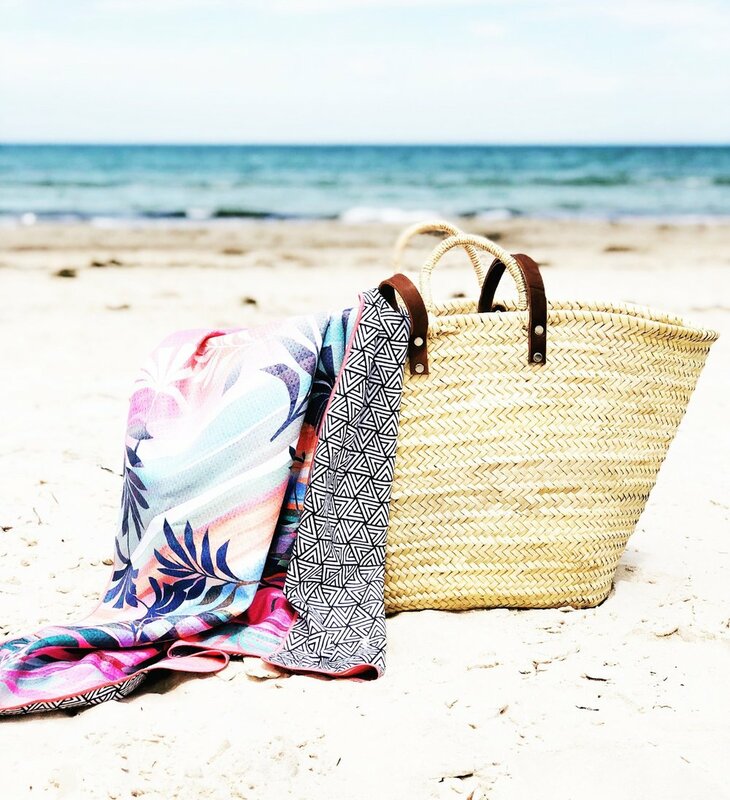 Tesalate are an Aussie brand who have designed a revolutionary new type of beach towel that’s lightweight, quick drying, super absorbent and sand-free. The towel is made from a special material called AbsorbLite which allows the sand to slip off the towel. Yesterday was 31c so we road tested the ‘Cali Sunset’ towel (part of their new collection, just released) at our local beach. It was windy as anything which was annoying, and the water was cold, but hubby and kids still went for a dip so the towel got a decent workout. The towel doesn’t feel like an ordinary towel, the material is thinner, almost like a chamois you’d use to wash your car which explains why it’s super compact, making it perfect for travelling and for fitting in your beach tote. But despite it being thinner it works like any other towel but it definitely repelled the sand and was much quicker to dry. By the time we got home it was dry and didn’t need to be washed like our other ordinary beach towel full of sand (although it’s machine washable). It has a loop you can hang your towel up with which I really like. We are planning a trip next year to Cape York, driving from Cairns to the tip of Australia, and with limited baggage, this towel will be perfect for our travels doubling as a bath and beach towel and taking up next to no space, or sand. Disclaimer: Tesalate kindly gifted me the towel but are not paying me for social media or for my review. All thoughts are 100% my own.